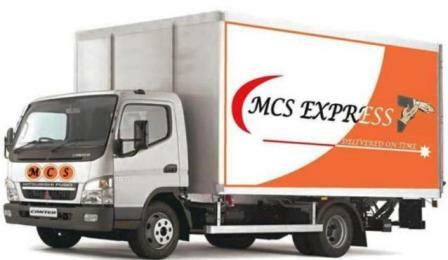 MCS Express is committed to delivering your parcels with speed and care, however during the transist process parcels may be handled several times. it is therefore important to adequately pack your parcel at all times. Below are some tips that will help make sure your package arrives at its destination in the best possible condition and on time. Choose the size of the box according to its contents. Under-filled boxes are likely to collapse, Overloaded ones may burst. Put the goods in the center of the package ensuring they don't touch the sides. your item should be well cushioned on all sides. Make use of cushioning materials, especially to stop your contents from moving. 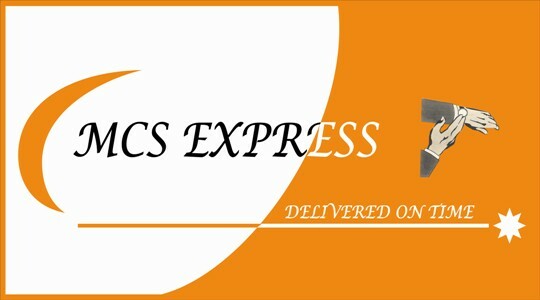 Use strong tapes designed for shipping if strapping is not available. When re-using a box remove all old labels including any old hazardous material indicators. Ensure liquids are stored in leak-free containers, packed with lightweight, strong, internal material [for example styrofoam] and sealed with plastic bag. Always remember that bad packaging may cause damage to other items. Place powders in strong plastic bags, securely sealed and the packed in a rigid box. Use"arrow-up" labels for non solidd materials. Repack your items properly. Many goods are sold in the original manufacturer packaging which may not be suitable for carriage. Protect you data discs, audio and videotapes with soft cushioning and aluminium foil around each item. Complete the address label clearly and completely, using capital letters when handwriting labels to improve readability for our personnel.